Japan Tokyo – Simply foodolicious! おいしい! 好吃! 맛있는! délicieux! delicioso! 好食! You really need to get your google map working when you start to venture into really quiet side roads, as if no other restaurants should be located there! Just like most other Kaiseki restaurants that have a little bit more character, Giro Giro Kagurazaka 枝魯枝魯 is located off the beaten track but in a pretty plush neighbourhood near Iidabashi. 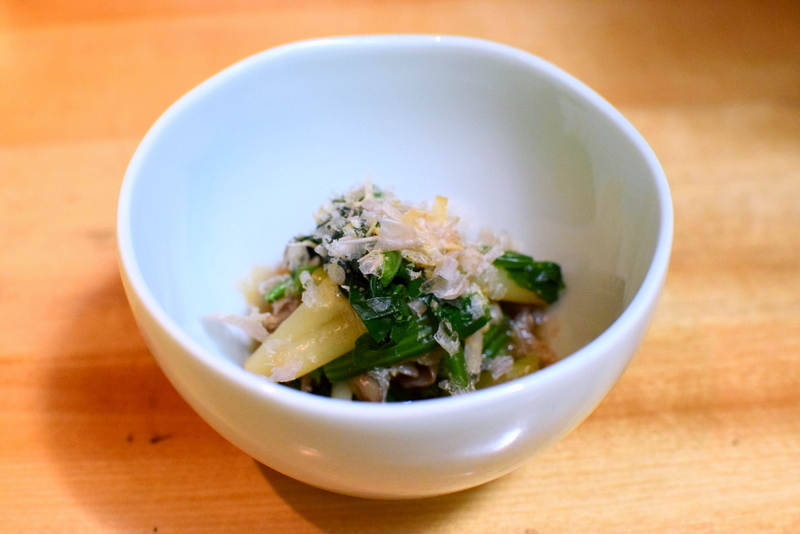 Hailing from Kyoto, the origin of Kaiseki, Giro Giro (Tokyo branch) does not adhere to the Kaiseki tradition but interjects elements of modern fusion cooking into some of its courses that would actually please your palates. Only one menu is served here, at ¥4500 for dinner. The restaurant starts to fill up as it gets later into the night. And the moment you are seated at your table, you would have felt the vibes of this restaurant already. Chefs are dressed in pseudo lab coats instead of proper aprons while their hairstyles could perhaps be the most punkish, which deviates from the balding norm. 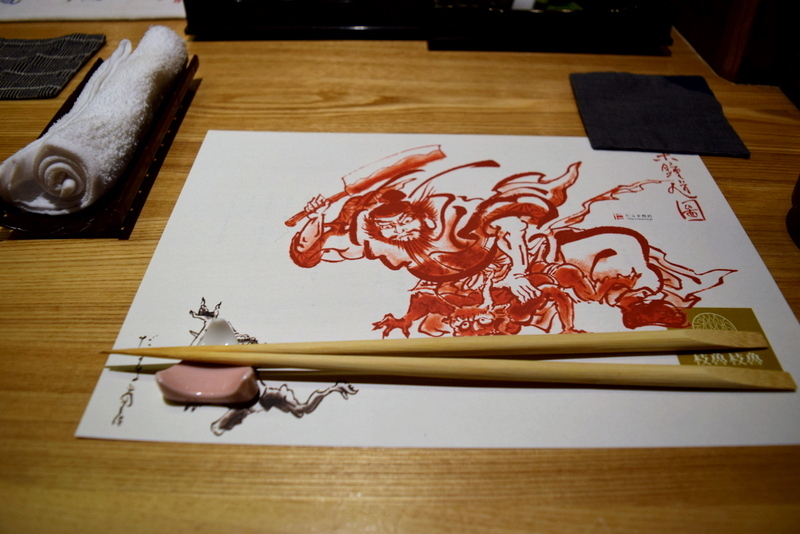 Instead of using a classy table mat that most would have done so, what greets you would be a stern picture of a mythical character who is on his way to capture the evil demons. If you know who 鍾馗 (Zhong Kui) is, this really felt like him. If you still remember the last post on Omborato at Hyatt Regency Tokyo, then you will realise that in the top of the top hotels in Tokyo, there are actually very affordable fine-dining restaurants present for lunch. This time, it is Shunbou 旬房 that was discovered (or well, more correctly recommended by dairycream). 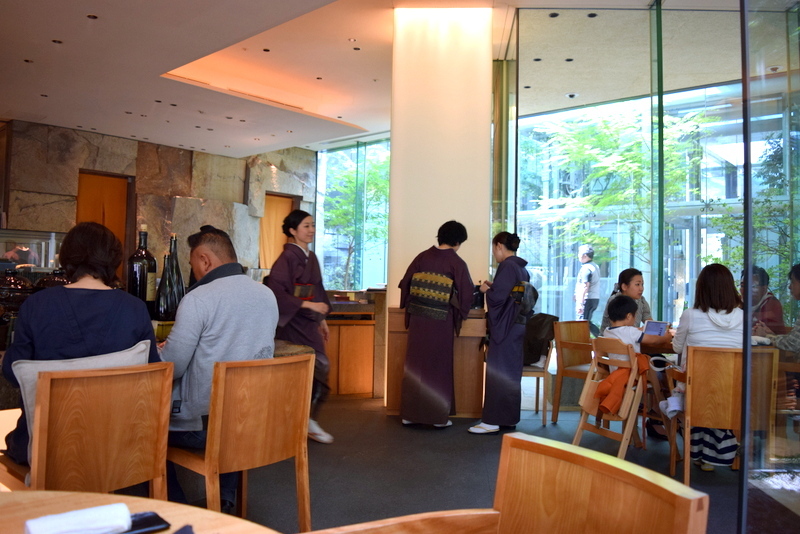 Despite being housed in Tokyo Grand Hyatt Hotel, it wasn’t as easy as we thought we could navigate as you have to awkwardly meander past some other restaurants before arriving at its doorstep. 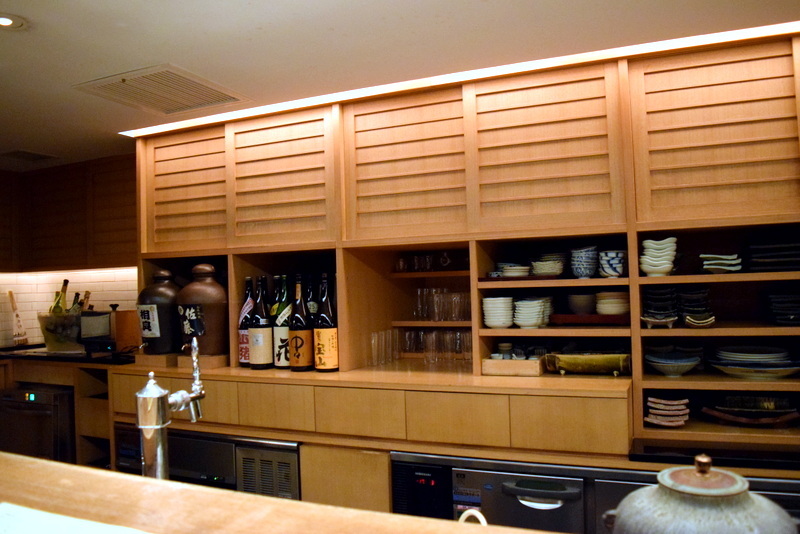 Not to worry as the waitress at the other restaurants will gladly bring you to Shunbou! Sat down, and my eyes went straight for the 旬彩 – that has the Kanji 三段弁当 written in the description, that means a three tier bento lunch set for ¥5300. Have seen it in dairy’s review and that was why this restaurant was marked for this trip! 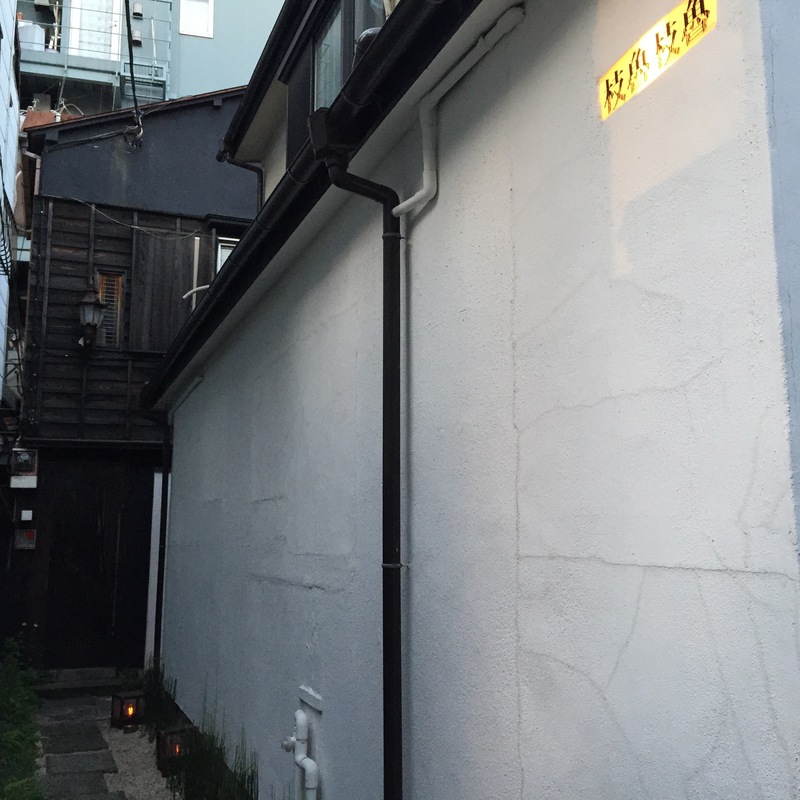 Lined along the classy streets outside Omotesando station, we could easily spot huge brands and sleek restaurants, and though Rakushokushu Maru 楽食酒 圓 is just a hole in a wall, this hole opens up to a 2 storey-deep restaurant, with a stylish counter bar and some private rooms. 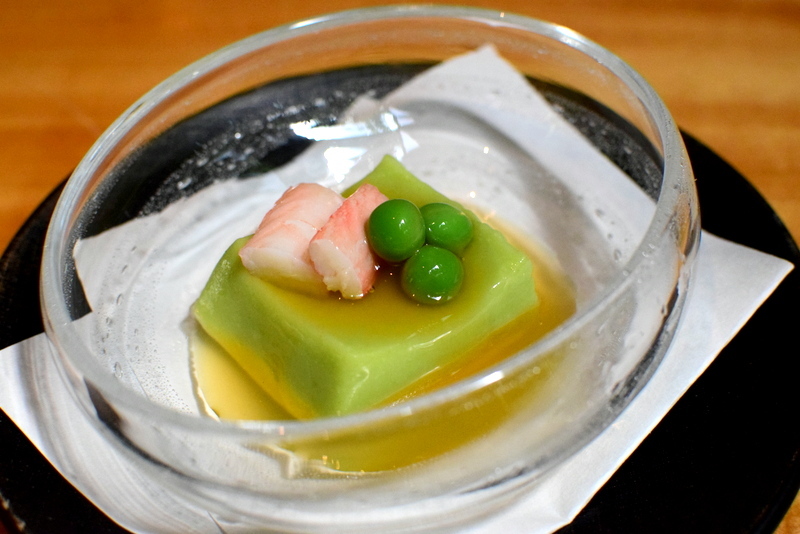 Having a pretty huge ala carte menu, going for the Kaiseki made things easier as we did not need to rack our brains over the less familiar items. 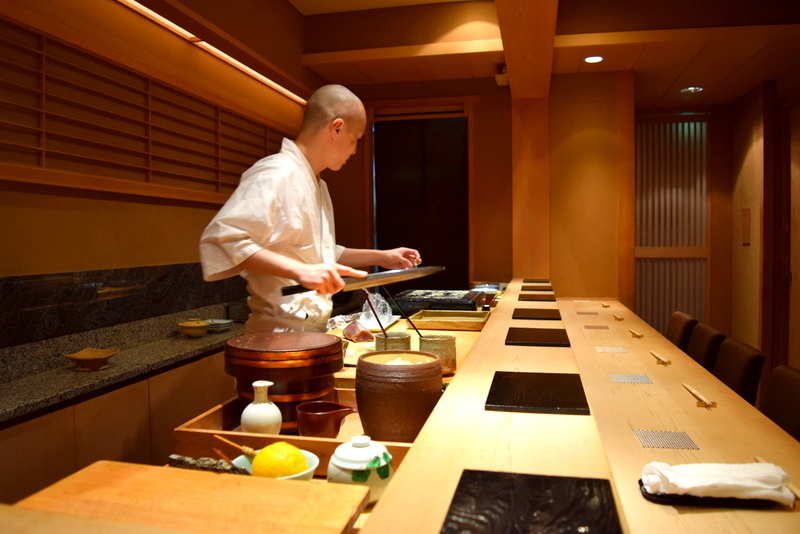 We got to choose from 3 menus, a 4800, 5500 and 7000 yen menu and being a kaiseki fan, I went straight for the 7000. 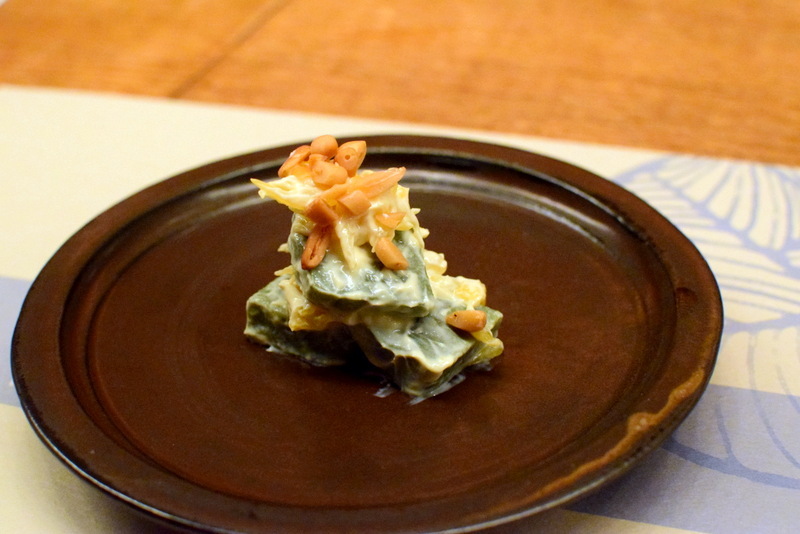 The first appetiser, salad of amanatsu orange and gluten bread served with white tofu cream, has assured us already that it will be a up-to-standard kaiseki meal. With an addictive chewy texture, the greenish gluten bread actually felt like a hybrid of konyaku and Mochi; definitely very refreshing when eaten together with the tofu cream. 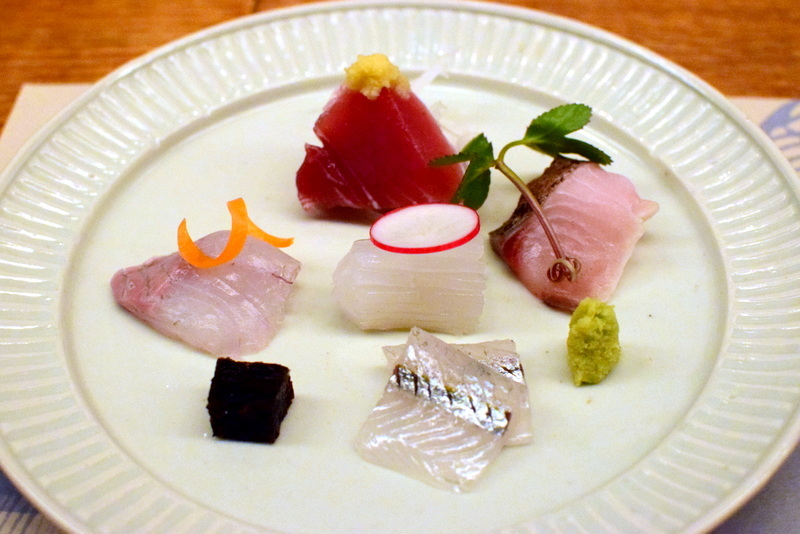 The assorted sashimi was plated beautifully and there really isn’t a need to describe about its freshness. Going to a Michelin sushi place has somehow turned into a ritual whenever I am in Japan. 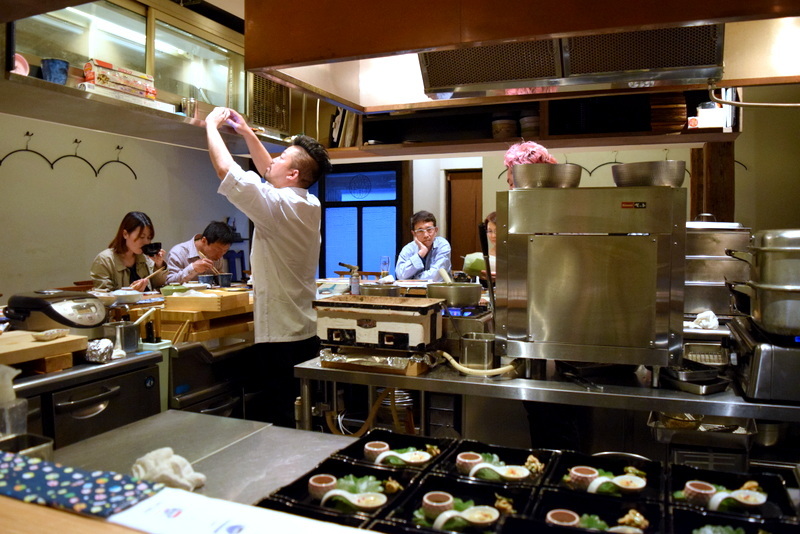 Not deviating away from the usual practice, after quite a long search due to the massive closure of Michelin restaurants during the Golden Week, Sushi Tokami (One Michelin star) is one of the rarest few that is still open on one of the days. But that comes with a caveat as its original 5000 yen set for a 10 piece sushi course went up by more than 50% to an unforeseen 8000 yen due to the sudden jack in market prices of the fishes charged by the famous Tsukiji Market that are also set to close for the next few days. Well, so we got the 10 piece sushi and lets get a glimpse on what were served! 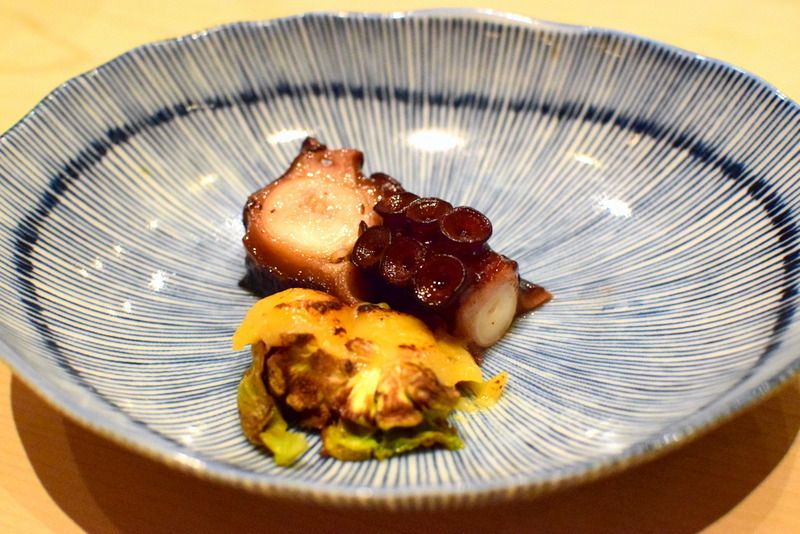 This perfectly marinated Octopus tasted lightly sweet and tasted really flavourful without an overly chewy texture. Being one of the freshest octopus that I’ve ever had, this appetiser was definitely one of the highlights of the sushi course. 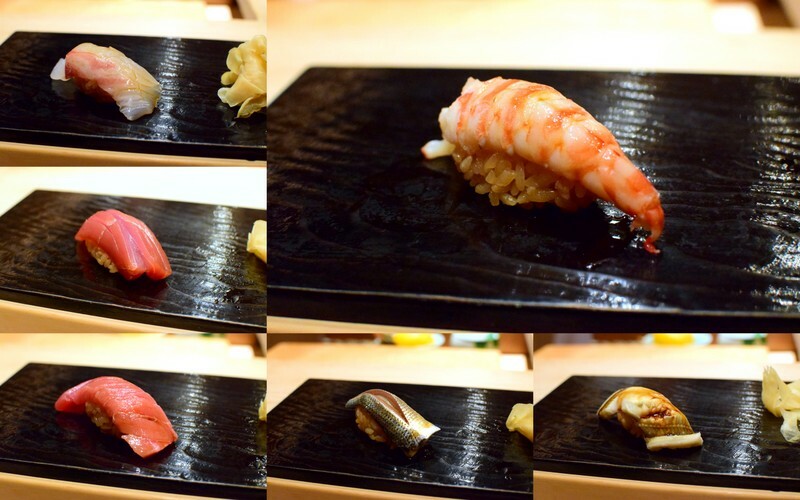 Before getting into the more exciting Sushi, lets take a look at the more common or basic sushi that are served in most Michelin restaurants. Anticlockwise: Tai snapper, Marinated Tuna, Chuttoro, Kohada, Anago and Sweet Ebi. Fresh is a given over here and the melt-in-your-mouth sensation is common as well. 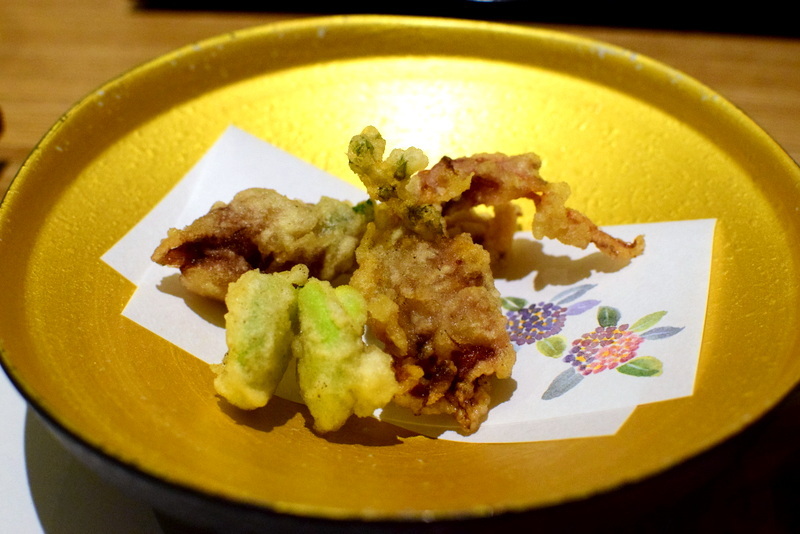 The Sweet Ebi though had a different texture with its succulent springy meat. 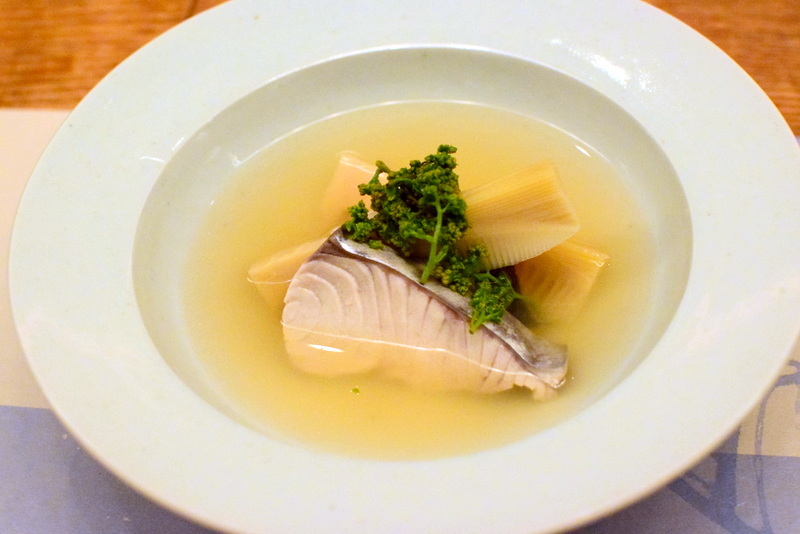 White shari – Ginza Sushi Ichi, Sushi Iwa, Shinji by Kanesaka.